Juan Gallo, a visiting doctoral student from Colombia, was selected as one of the 10 winners of MIT Technological Reviews Innovators Under 35 COLOMBIA 2015, with his work on genomics and bioinformatics in clinical microbiology and human chronic disease research. Gallo is developing bioinformatics tools that accelerate and cheapen the diagnosis of certain infectious diseases caused by pathogens. Gallo is working with two types of fungi involved in respiratory diseases that affect millions: Histoplasma capsulatum and Paracoccidioides brasiliensis. Thanks to the bioinformatic algorithms developed by Gallo and Dr. King Jordans Bioinformatic team, genomic sequences can be queried to create more specific PCR tests that will identify with high probability the presence of a microorganism in a clinical sample from a patient in less than an hour. 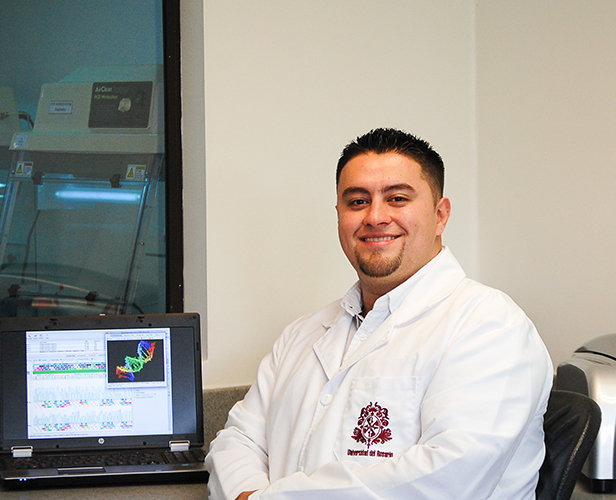 According to Gallo, molecular and microbiologist graduated from the University of Central Florida (USA) and PhD student at the University of Rosario (Colombia), their work could be extrapolated to the detection of any other pathogen of interest by identifying all of the unique sequences for any pathogen of interest. In addition to creating and testing this algorithm as part of his Fulbright Fellowship in Fall 2014 at the Georgia Institute of Technology (USA) and CDC (USA), Gallo is also using bioinformatics tools and genomic sequencing to search profiles associated with chronic diseases. In 2014, he made available to the Pablo Tobon Uribe Hospital (Colombia) bioinformatic protocols to help diagnose two seriously ill children who were carriers of "critical mutations." Although children died, for Gallo, the procedure shows that it is possible to "aide in the prediction of early disease and, over time, with accumulation of data, researchers can find the genetic causes of certain diseases and their possible treatments."